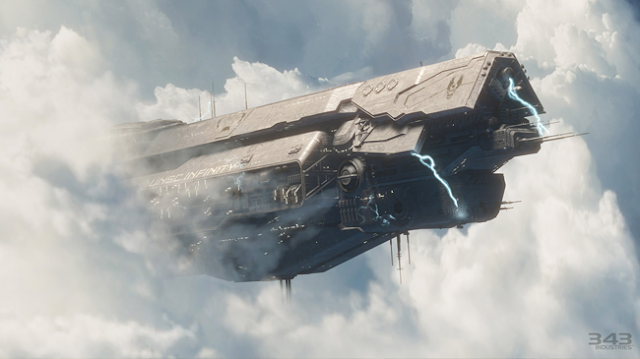 Here's something I had not realised - the Infinity crashes into Requiem but Spartan Ops is set actually 6 months after the Campaign - with the Infinity happily floating in space. Will the Halo 4 campaign be a complete story unto itself? One of the first things we see in the campaign is the USNC Infinity crashing into the planet Requiem. But six months later, when the fiction for [co-op multiplayer mode] Spartan Ops takes place, it’s back up in the sky. And isn’t that a little spoilery? Frank O’Connor: That is a little spoilery, and it’s a necessary spoiler. But the game will end with the universe having changed pretty dramatically. It’ll be a satisfying ending, and you’ll have achieved a lot, but you’ll lose stuff, too. We’re trying to tell a much more emotionally resonant story this time.